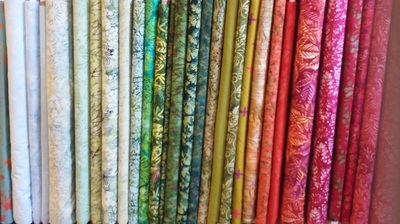 Take a peek at our fabrics! Stay warm with flannel! These new flannels are so soft! 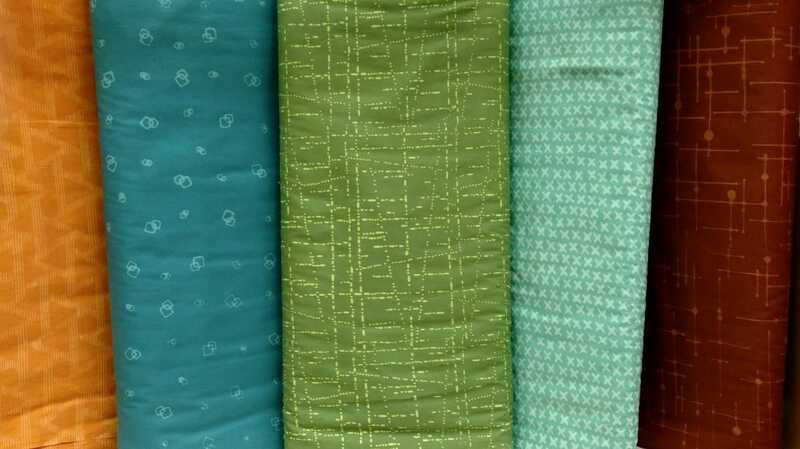 You will never regret a pair of pijama pants or a skarf made of this beautiful fabric! Yellow and blue together? Beautiful. 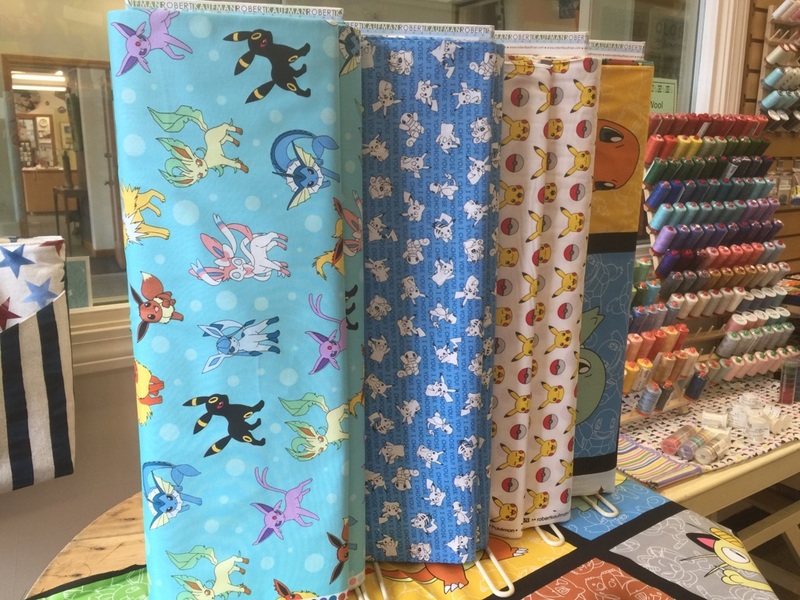 Come and browse our jelly roles and charm packs! 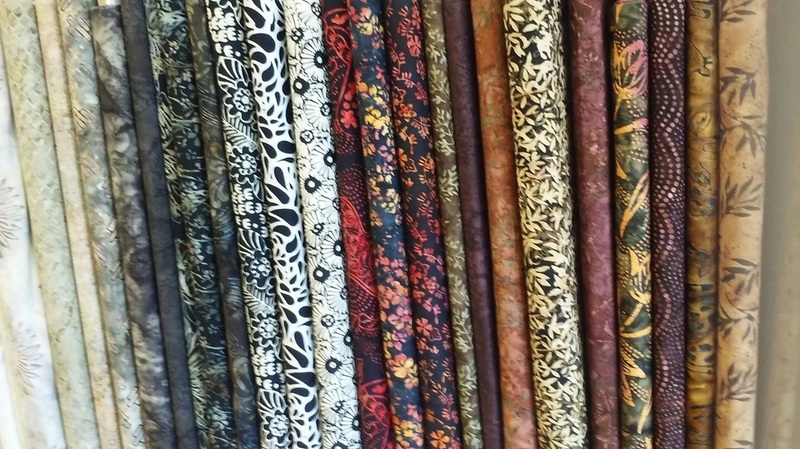 All the fabric in this section is marked down, the bolts in the middle are $6 per yard, and the bolts on the side are $8 to $11. 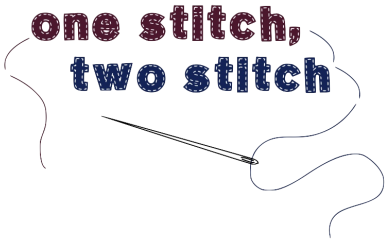 Sale patterns are either half price or $2 each and books are 40% off the original price! Samples around the store with a pink tag are all marked with a price for purchase. 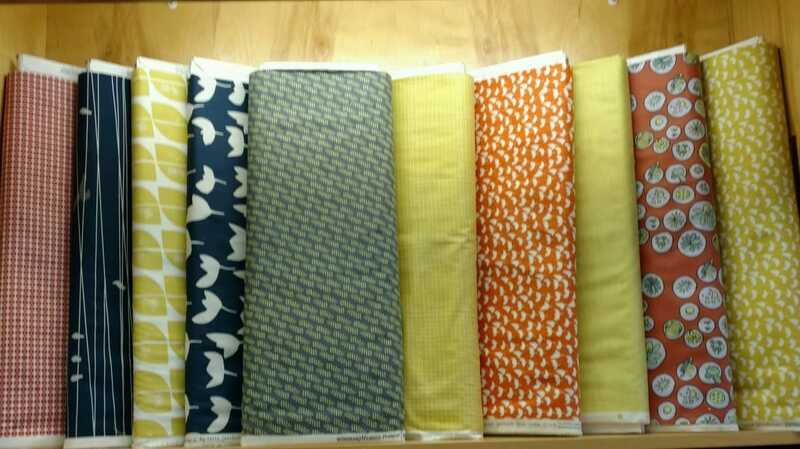 If you finish a bolt in our lonely hearts club, you get 30% off the fabric! 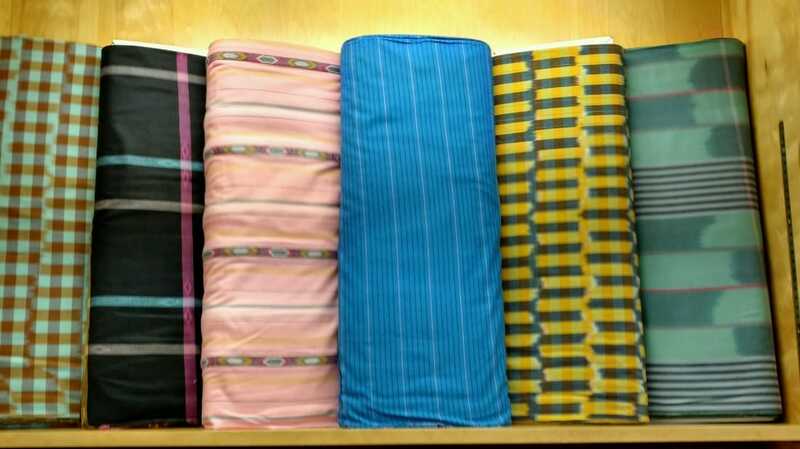 Sneak peeks of our displays! ​Come check out our displays! 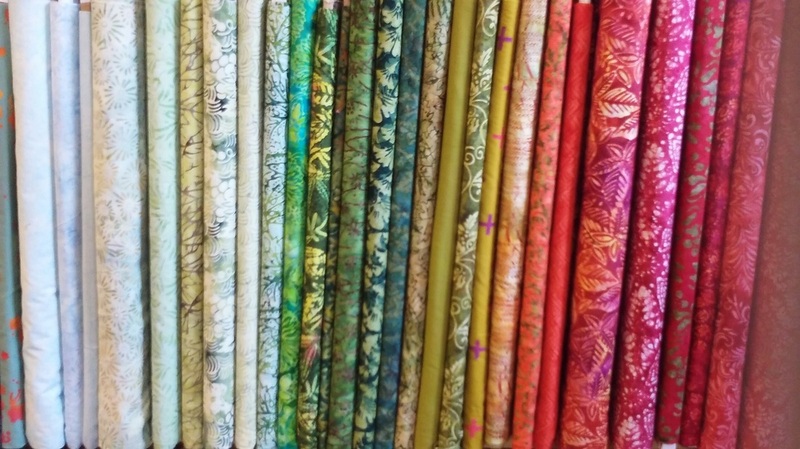 The pictures don't do the fabric justice, so come see our displays for yourself! 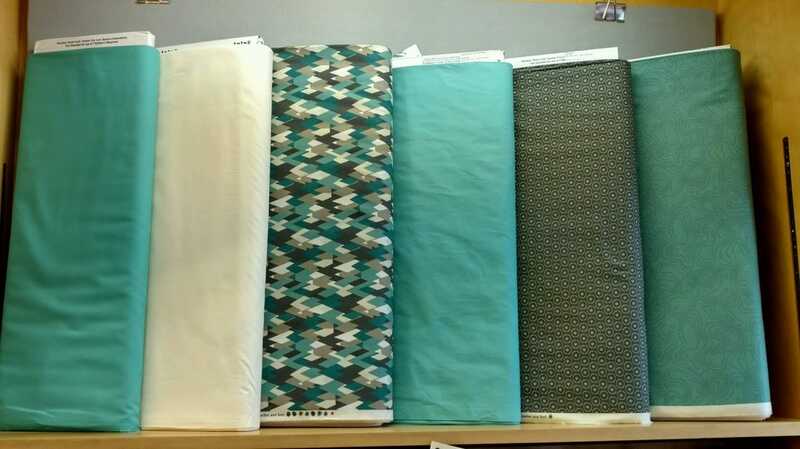 These are just some of our great fabric lines! 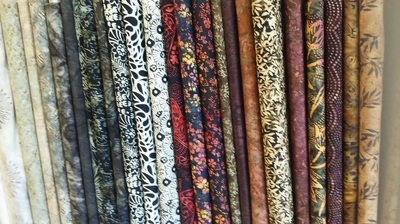 Earthy prints for you hikers, and outdoor lovers! 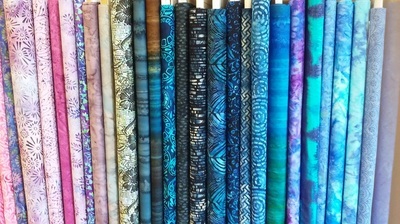 These new apparel fabrics are yarn dyed woven! 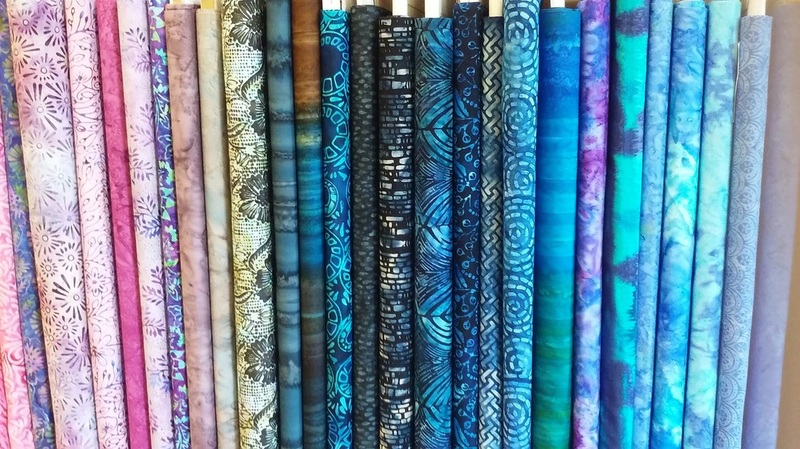 Our Hand dyed batiks are vibrant, and perfect for summer skirts and colorful quilts! 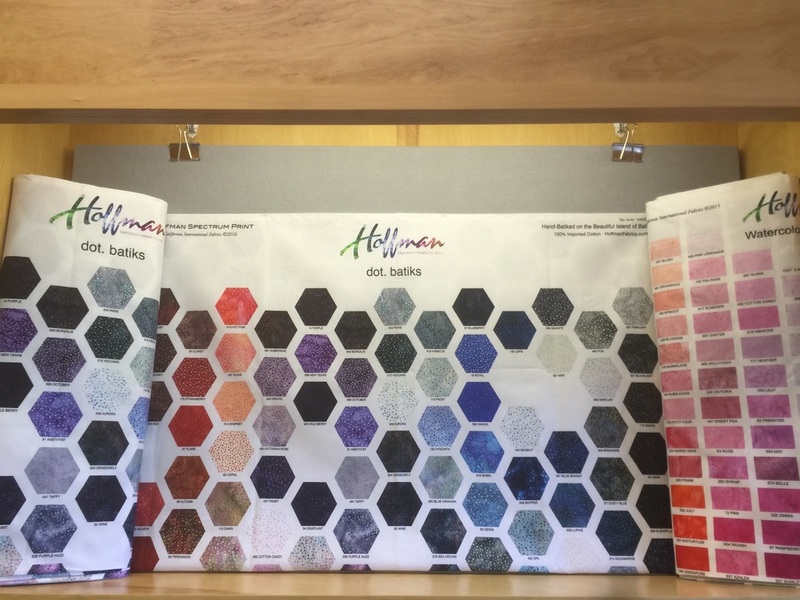 Check out this great video from Hoffman Bali batiks!